Computer users may run into the term tracking cookie frequently if they are using a security software like Norton 360 or Kaspersky Internet Security. These programs detect those web browser cookies, and offer to delete them from the system. The detection of third-party cookies by security software does not mean that they pose the same danger as a computer virus, trojan or worm to the user. Tracking cookies are placed on the computer by online advertising companies. These companies track the user's movement on the Internet for statistical, marketing and relevancy purposes. One of the main purposes of cookies in general is to save temporary data, for instance language preferences or login information. Tracking cookies on the other hand are only created to track a users activity. The activity can still only be tracked if the user visits a website that displays the advertisement scripts of the company, and not on sites where those scripts are not loaded. Tracking cookies raise privacy issues, as they allow companies to partially track an Internet user's movement on the Internet. The detected cookies can be deleted easily in the software that is used to browse the Internet, in third-party software that has been designed for that purpose, and manually. 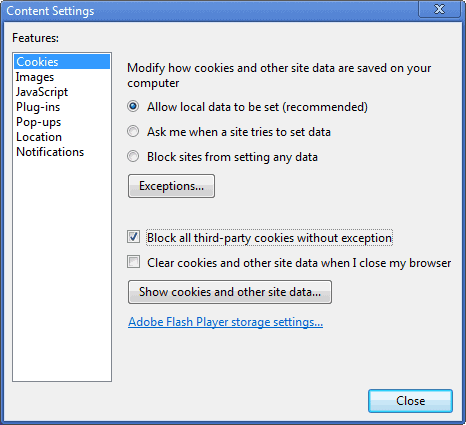 Some web browsers, like Microsoft's Internet Explorer, offer settings to handle third-party cookies. The term third-party cookies might confuse some users, but it is actually fairly easy to understand. A first party cookie is placed by the website itself, it would for instance be a first party cookie if Ghacks would place a cookie on your system. A third party cookie is placed by scripts from other services, mostly advertisements that are loaded on the page which means that their contents are loaded from other servers. 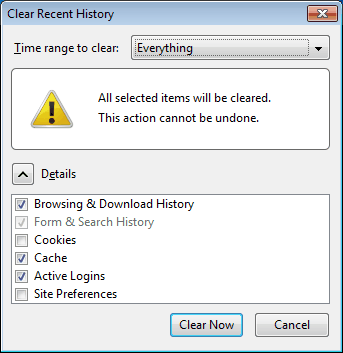 Internet Explorer users can clear all cookies in the web browser by clicking on Tools > Internet Options, and then the Delete button in the General tab. This opens the Delete Browsing History menu. Cookies is one of the items available in that menu. Keep in mind that this will delete all cookies, it may mean that certain site preferences are reset to their default values. It may also mean that a login prompt is displayed on some sites on the next connection. Cookies will be written again on the next connection. The third party cookie behavior can be configured in the Privacy tab of the Internet Options. The default setting is medium, which blocks some third party cookies but not all of them. Moving that slider to medium high, high or "block all cookies" will reduce or eliminate cookies in the web browser. A better approach, that blocks third-party cookies completely, is to click on the Advanced button to open the Advanced Privacy Settings in Internet Explorer. Activate "Override automatic cookie handling" and change the third party cookie selection to Block. This blocks all third-party cookies in Internet Explorer without affecting first-party cookies at all. 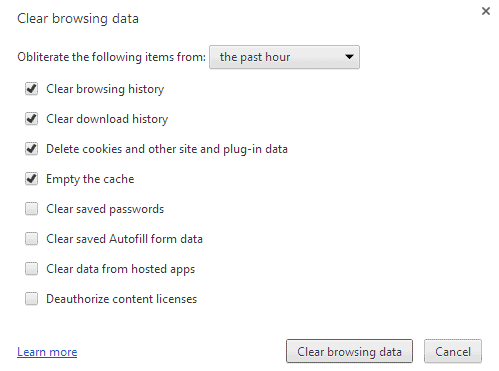 The first paragraph details how to handle tracking cookies in Opera 12 or older. For Opera 15 or newer, scroll down to the update part of the chapter. Opera users can delete cookies by clicking on the Menu button at the top left of the web browser, and then Settings > Delete Private Data. A click on the Manage Cookies button after enabling detailed options in this menu lists all cookies with the option to delete them selectively instead. Opera offers options to change the default cookie behavior and block tracking cookies. Press Ctrl-F12 to open the Opera Preferences. Switch to the Advanced tab and select cookies from the left sidebar menu. Change Accept cookies to Accept cookies only from the site I visit to disable third party cookies in Opera. Update: From Opera 15 on, things have changed quite a bit. You can delete cookies in Opera 15 or newer by selecting Opera > More Tools > Clear browsing data from the menu, or by loading the internal page opera://settings/clearBrowserData directly in the browser. Load opera://settings in the browser's address bar. Switch to Privacy & security on the left if that page is not loaded by default. Locate Cookies and check the "Block third-party cookies and site data" preference here. Things have changed for Google Chrome as well, browse to the update part below. A click on the wrench and the selection of Options opens the Google Chrome Options window. The Under the Bonnet tab contains options to clear the browsing data and set the default cookie behavior. 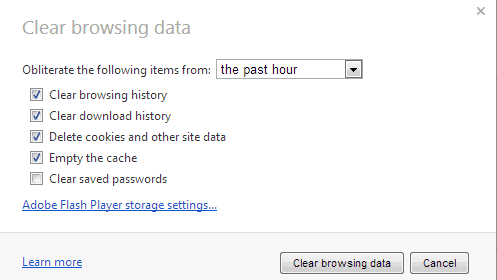 A click on Clear browsing data opens a new window with the option to delete stored cookies, among other data. General cookie behavior can be set in the Content settings menu. Cookies is one of the options in that menu. 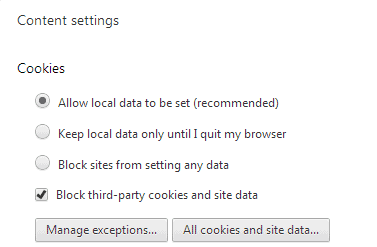 Locate the checkbox "Block all third-party cookies without exception" to block all tracking cookies from being set on the computer. Update: Google has modified how cookies are managed in the Google Chrome web browser. To clear the browsing data in newer versions of Google's browser, hit the shortcut Ctrl-Shift-Del to bring up the clear browsing menu, or load directly in the browser's address bar. 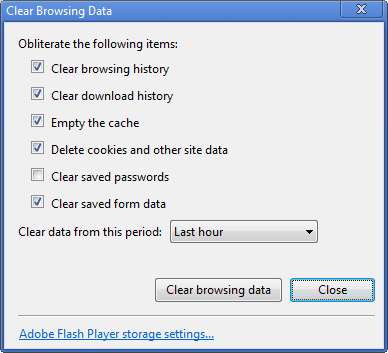 Make sure delete cookies and other site and plug-in data is selected before you click on the clear browsing data button. To modify the third-party cookie behavior in Chrome, load or click on the menu button in the interface and select Settings from there. Click on the show advanced settings option here at the bottom of the screen and scroll down until you come to the content settings button under Privacy. Click on it and enable the "Block third-party cookies and site data" preference under Cookies here. The keyboard shortcut Ctrl-Shift-Del opens the Clear Recent History menu in Firefox. Here it is possible to clear the cookies immediately. 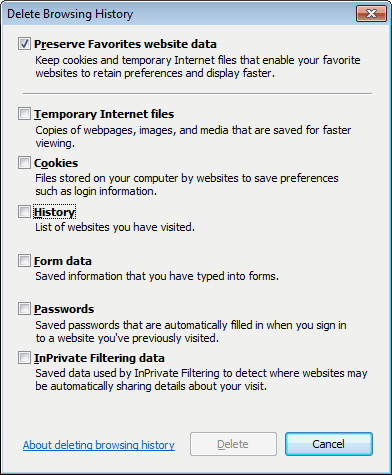 The Firefox options, located under Tools > Options offer controls to block third party cookies in the web browser. Locate the Privacy tab, and there the entry Accept third-party cookies. Remove the checkmark next to the preference to block tracking cookies and other third party cookies in the Firefox web browser. The Firefox menu that you see above has changed slightly in newer versions of the browser. It displays a menu now next to Accept third-party cookies were you can select "Never", "Always" or "From visited". The first blocks them all, the second accepts them all. The third is unique to Firefox and accepts all third party cookies if you have been to the site previously that wants to set them. All popular web browsers offer controls to block third-party cookies. Some advertising companies use Flash Cookies to track users. Please follow the link to the article linked above to find out how those can be deleted from the system as well. Firefox v3.0 and above in my experience do not remove tracking cookies for any appreciable length of time; in fact, I suspect these iterations come pre-loaded with a couple dozen. That is why I am sticking to v2. Chrome/Iron does a nice job of blocking all third-party cookies. Just turn the cookies off and allow only the websites you trust/need. Works in Firefox & Opera. I have no idea with the rest of the pack. That’s the best option in my opinion, it does however require the most time for configuration. Chrome and Internet Explorer support cookie whitelists as well. This setting can be made in Safari 5 (and very likely in earlier versions as well). In the top of the prefs window, click the Security icon.